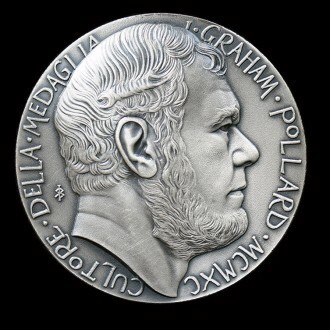 Graham Pollard, was a great expert on Italian Renaissance medals. 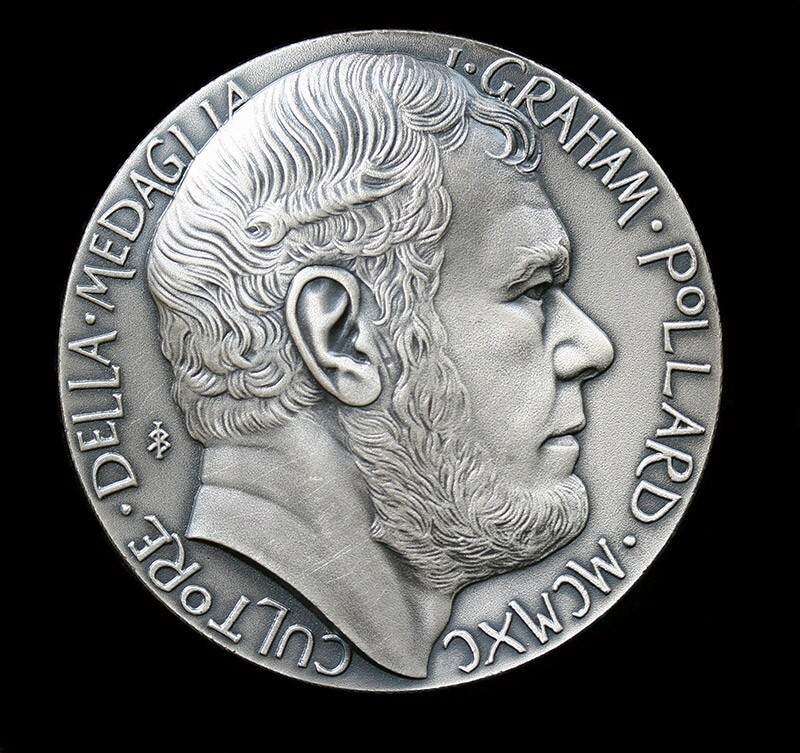 In 1966 he was appointed Keeper of Coins & Medals at the Fitzwilliam Museum, Cambridge. From 1969 until 1988 he was Deputy Director of the museum. 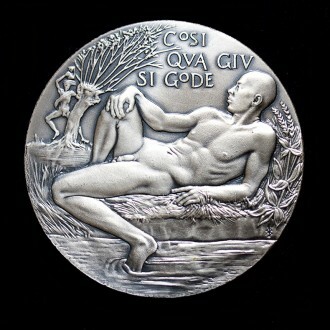 The reverse of the medal shows an allegory of a youth reclining by the flowing waters of the Cam whilst the figure of Death holds up the hour glass from behind a pollarded tree. In it’s pictorial allusion the allegory represented Graham’s life. The latin inscription from Petrach reads ” So Here You Can Enjoy “. Size: 50 mm / 2"